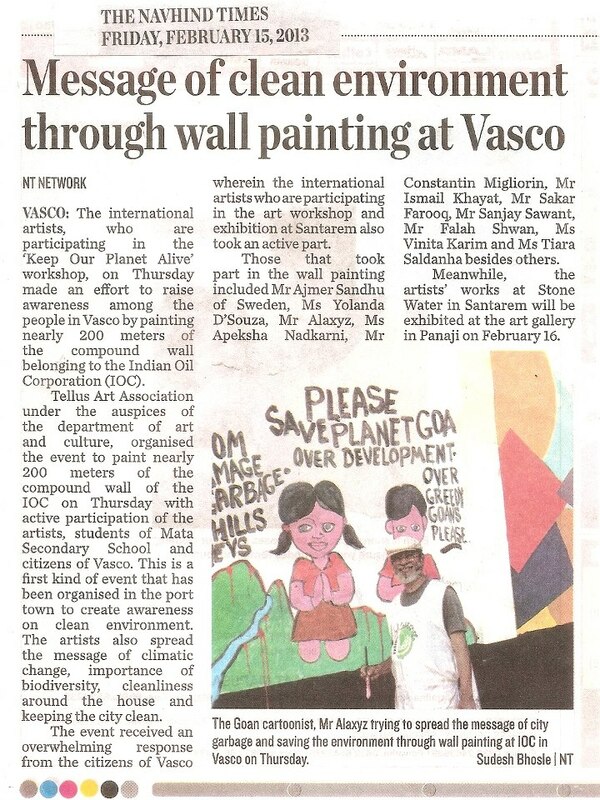 The international artists, who are participating in the “Keep Our Planet Alive” workshop, on Thursday made an effort to raise awareness among the people in Vasco by painting nearly 200 meters of the compound wall belonging to the Indian oil corporation. TellusArt Art association under the auspices of the department of art and culture, organised the event to paint nearly 200 meters of the compound wall of the IOC on Thursday with active participation of the artists, students of Mata Secondary School and citizens of Vasco. This is a first kind of event that has been organised in the port town to create awareness on the clean environment. The artists also spread the message of climatic change, importance of biodiversity, cleaniness around the house and keeping the city clean. 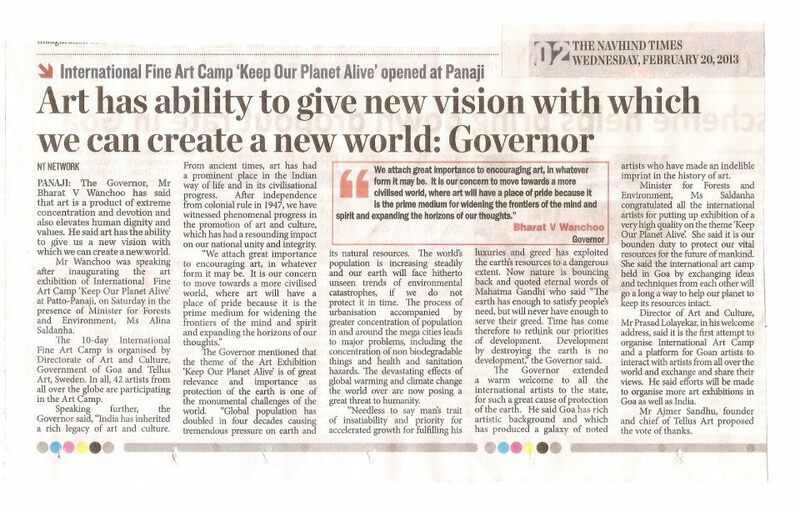 The event received an overwhelming response from the citizens of Vasco wherein the international artists who are participating in the art workshop and exhibition at Santarem also took an active part. Those took part in the wall painting included Mr Ajmer Sandhu of Sweden, Ms Yolanda D’Souza, Mr Alaxyz, Ms Apeksha Nadkarni, Mr Constantin Migliorin, Mr Ismail Khayat, Mr Sanjay Sawant, Mr Falah Shwan, Ms Vinita Karim and Ms Tiara Saldanha besides others. Meanwhile, the artists’ works at Stone Water in Santarem will be exhibited at the gallery in Panji on February 16.